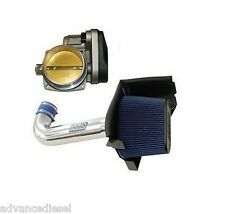 2005-2010 Ford Mustang V6 4.0L BBK Cold Air Intake Kit Free Shipping +15HP!! Each BBK Cold Air Intake model has been designed and dyno tested at the BBK headquarters in Southern California to maximize performance. Tube Color :Black. Limited 1 Year Warranty. Protection Type :Heat Shield. 2005 2006 2007 2008 2009 Ford Mustang GT BBK Cold Air Intake Kit. Improves horsepower, no tune required, titanium powder coat finish and easy to install. New, out of box but never installed in a car. "BBK Throttle Body --BBK – POWER-PLUS THROTTLE BODIES. Series : BBK Power Plus. Premium fully-machined aluminum. Material : Aluminum. Product fit : Direct Fit. General Warranty Limitations (Applies to all Product Warranties). Notes High Flow Twin 58mm, No Tune Required. "BBK Throttle Body --BBK – POWER-PLUS THROTTLE BODIES. Series : BBK Power Plus. Under NO circumstances will our liability exceed the amount of the original sale. 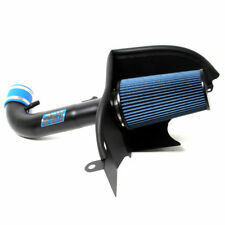 "BBK Cold Air Intake --BBK – BLACK-OUT COLD AIR INTAKE KITS. Series : BBK Power Plus. Pushes more of the cool, dense air you want into the engine block. Kit includes reusable, pre-oiled air filter. Provides dramatically better filtration than the factory air box. "BBK Throttle Body --BBK – POWER-PLUS THROTTLE BODIES. Series : BBK Power Plus. Includes new gaskets. Condition : New. Therefore all implied warranties that may apply to your part are limited to the duration of this written warranty. 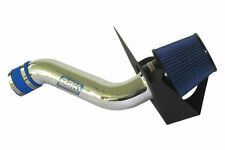 "BBK Cold Air Intake --BBK – POWER-PLUS SERIES COLD AIR INTAKE KITS. Series : BBK Power Plus. Pushes more of the cool, dense air you want into the engine block. Kit includes reusable, pre-oiled air filter. This BBK cold air intake kit is optimized to work for the 2015-2017 Mustang GT 5.0 factory computer settings. Available to fit all 2015-2017 Ford Mustang GT 5.0's. Midway Mustang. 2017: Incl. Our R&D centers feature a total of three dyno cells and a team of highly skilled craftsman that also happen to be enthusiasts who really enjoy bringing the best performance products to market. Notes High Flow 66mm, No Tune Required. "BBK Throttle Body --BBK – POWER-PLUS THROTTLE BODIES. Series : BBK Power Plus. Therefore all implied warranties that may apply to your part are limited to the duration of this written warranty. "BBK Throttle Body --BBK – POWER-PLUS THROTTLE BODIES. Series : BBK Power Plus. Therefore all implied warranties that may apply to your part are limited to the duration of this written warranty. Each warranty gives you specific rights, and you may have other rights which vary from state to state. 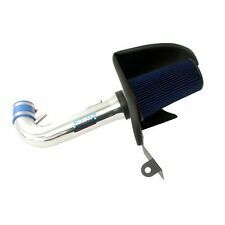 "BBK Cold Air Intake --BBK – POWER-PLUS SERIES COLD AIR INTAKE KITS. Series : BBK Power Plus. Tube material : Aluminum Tube. Air filter material : Cotton Gauze Filter. Kit includes reusable, pre-oiled air filter. "BBK Throttle Body --. Series : BBK Power Plus. Condition : New. Therefore all implied warranties that may apply to your part are limited to the duration of this written warranty. Each warranty gives you specific rights, and you may have other rights which vary from state to state. The BBK Performance Mustang cold air intake kit will also increase your 4.6 V8's throttle response. BBK Performance cold air intake kits feature a high flow washable conical cotton filter. Each cold air intake model has been designed and dyno tested at the BBK headquarters in Southern California to maximize performance. "BBK Throttle Body --BBK – POWER-PLUS THROTTLE BODIES. Series : BBK Power Plus. Under NO circumstances will our liability exceed the amount of the original sale. General Warranty Limitations (Applies to all Product Warranties).